With her husband Luke away on an extended business trip to China, Afric Lynch goes for a routine ultrasound and is told this terrible news. Fearing that Luke will not have the strength to cope with the truth, she chooses not to tell him while he is so far away. Afric must face her dilemma and make her decisions alone...alone but for her little unborn companion who is with her every step of the way. Raw, painful, and often hilarious, this novel takes the reader through a kaleidoscope of emotions, on a mesmerising journey of love and heartache. 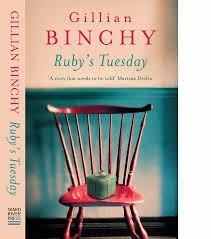 Gillian has very kindly allowed me to interview her about the creation of Ruby's Tuesday and how it has affected her both professionally and personally. As with all my Random recommendation, this Giveaway is open INT. Just enter via rafflecopter below and best of luck. Gillian Binchy grew up on a farm in County Limerick. She studied in UCD, UL and Dublin Institute of Technology. Her love of travel and the outdoors, plus a passion for sea-swimming, inspired much of this debut novel. 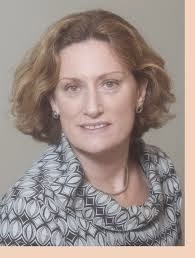 Gillian has worked both in Ireland and abroad in the travel and tourism industry for many years. She is married to Gary and they live in County Dublin. The loss of their daughter in May 2013 motivated her to write this book. Always but it took me a good twenty years to get going! I started writing when I spent six months in the Australian outback – up in the Northern Territory outside Fitzroy Crossing, mustering cattle and working as a cow girl and cook during the mustering season. I wrote a lot up there. Every evening, after sitting around the campfire and chatting, there little else to do – so I wrote describing the screaming sunsets, the locals and their traditions, wrote about mustering. I sent those letters home and at the same time kept a very detailed journal then in 2007, I started a skiing novel. It was a love story set on the slopes in Austria – boy meets girls and happy-ever-after ending. I was busy having a great life and my writing discipline back then was not as good as it is now. Then I fell in love and sure that takes up time – a lot of time – making Gary fall in love with me and then with Ireland was in itself a full-time job! So my dream of writing once again took a back seat until the summer of 2013. 2. 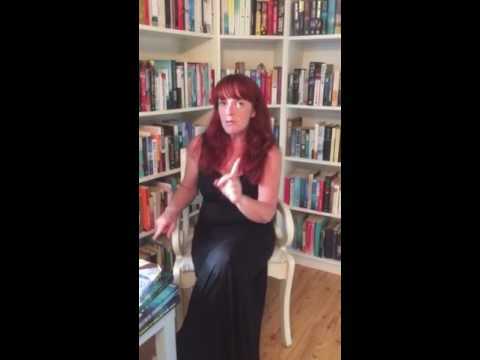 This book is based on a very upsetting personal experience, do you think this made a difference to your writing style or would you have written with the same emotion with any subject? Well, I think I am by nature an upbeat humorous so while the subject of the novel Ruby’s Tuesday is dark and painful, I didn’t want to deny the more joyful side of life or depress my readers too much! Some of the most serious scenes in the book, though heartbreakingly sad, are normalised by touches of humour and other times they are wrapped up in an entertaining style. I think in a bizarre way the story is uplifting and that is how I wanted it to be. Looking back now, my writing style back in 2007 is very similar to style in Ruby’s Tuesday, uplifting, witty and straightforward. But I was also conscious of the fact that the humorous slant on things served a purpose particularly for this novel. 3. Sharing your story was a very brave move that I, for one, cannot praise you enough for. Were you worried that sharing it would bring unwanted attention to your personal life? No, I was not particularly worried about unwanted attention. People to date have been extremely supportive and respectful and have not intruded in our lives in any way. We have only received encouragement and compassion – people have been truly supportive. Maybe it is because I believe that people are inherently good that I was not over anxious about unwanted attention. 4. I have read that you got a three book deal from Poolbeg and Ward River Press. Have you got the writing bug now or do you worry about the dreaded second novel that so many authors talk about? I have signed a three book deal with Poolbeg Press as part of the Ward River press imprint. To date most of my attention has been focused on the publicity for Ruby’s Tuesday and it has been very busy! So when all that is done, then I can really focus on the second novel. The plot for my second novel I had crafted before I sat down to write Ruby’s Tuesday – so the basis of the plot is there. It has a beginning, middle and an end already - so now it is about sitting at the desk and the putting in those long hours to get words on the page and to get the story told well. 5. The story of Ruby’s Tuesday is based in the Irish Republic and focuses on the need to travel abroad for certain medical procedures. Can you tell our non-Irish readers a little about this? In the Republic of Ireland termination for medical reasons is not allowed. This means if you are carrying a child with a fatal fetal abnormality you have to carry the unborn baby to full term. Knowing that your unborn child is incompatible with life, devastated and heartbroken you must travel outside of Ireland to have a termination. In the Republic of Ireland, you are denied the right to choose to have a termination for medical reasons. I think that women should have the right to choose whatever their choice is – choosing to have a termination for medical reasons or choosing to carry the child if possible to full term. 6. Did you find the finished book as you had originally pictured it or were there changes made that altered your initial vision? The finished version of Ruby’s Tuesday was probably eighty percent what I had first written. Thanks to the great efforts of my amazing editor Gaye Shortland the final version was a much more well rounded and better told story. The structure remained pretty much the same. The scenes around Dublin and the whirlwind tour that Afric takes Ruby on in the novel – were all part of the first draft. The ending did not change – there was no great miracle – no fairy tale where Ruby’ survives! 7. Do enjoy talking about Ruby’s Tuesday to the media, book clubs etc or is it bitter-sweet? I am not sure that I would go as far as saying that I enjoy talking about it. Some days I find it hard going, there are times when I have to fight back the tears, try to hold it all together. The media have been very respectfully even supportive so that has made it easier. People have been very sensitive and compassionate. I think Ruby’s Tuesday is an important novel, while it is not written to be a self help guide or to be the A-Z directory on fatal fetal abnormalities, it does tell the story of early child loss and all the heartache, disappointment and loss that goes it. There are also some very humorous scenes in it – so those passages I enjoying talking about a bit more. 8. How did your family react to the final draft of the book? 9. Have you heard from others who have been through a similar situation to Afric? Could they identify with the book? Yes, I have heard from a lot of women you had been faced with the same shocking reality as Gary and I were. Some of the women had chosen to carry the child for as long as they possibly could, other has chosen to go to the UK to have a termination for medical reasons. What I found rather shocking were the amount of women that contacted me who had for lots of different reason told their family and friends that they had had miscarriage while on a weekend away in Liverpool. It would seem that still in some cases in Ireland termination for medical reasons in the Ireland is still considered a taboo subject. 10. Can you tell us anything about your next novel yet? Yes, that I have just started it. Part of the novel with be set in Dublin and some of it will be set in the outback in Western Australia, to date I have tended to write what I know about. It will be a similar genre – maybe even more uplifting than Ruby’s Tuesday. Very often what you set out to write – does not resemble in any way the finished product – so I am careful not to give you too many detail as during the writing process it may all change with a dash of inspiration. ! Asking me my favourite Irish author is cruel... I love so many. Roisin Meaney, Michelle Jackson, Zoe Miller... need I go on! Ouch.....how could you???? mumble mumble mumble.......hope you heard all their names correctly!!! Mine was Maeve Binchy "Light a penny candle" many, many moons ago. !!! Maeve Binchey will always be my favorite.